Bram received news about the outreach and, as a village elder, came to investigate what is was about. He listened to the message about “The Cross” and became convicted over his sins and convinced that Jesus was the only way to God. Bram responded to the message, repented of his sins and idolatry, and surrendered his life to Jesus as his Lord and Savior. Immediately after surrendering his life to Christ, he told the believers at our Project India Church Plant about his heart condition and gloomy prognosis from the doctor. The believers gathered around him and prayed. Bram returned to the physician this week and the Dr. asked him, “Have you been treated by another physician?” Bram relied, “No. Why?” The Dr. told him his heart condition was corrected and that he was cured. Bram returned to the village as he rejoiced in his salvation and healing. As a village elder, he has property and influence within the village. His position as a village elder remains even though he is now a Christian. Bram, after returning from the physician, felt the Holy Spirit prompt him to do something special. He gave land to the church in his village so they could build a meeting place large enough to hold 300 believers. 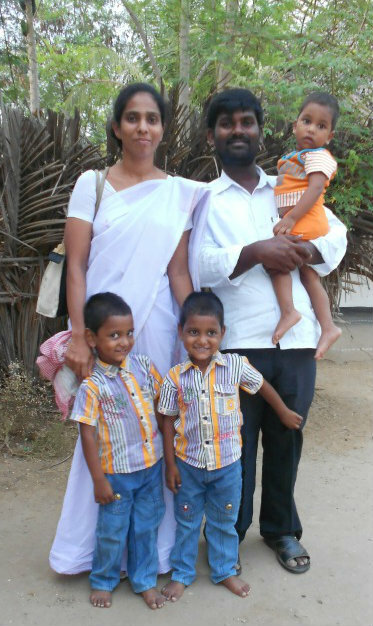 Amand and the believers are rejoicing over the Lord’s provision through converting and healing Bram. The Lord is revealing His power to this rural village….Hallelujah! Please continue to pray for these new believers.